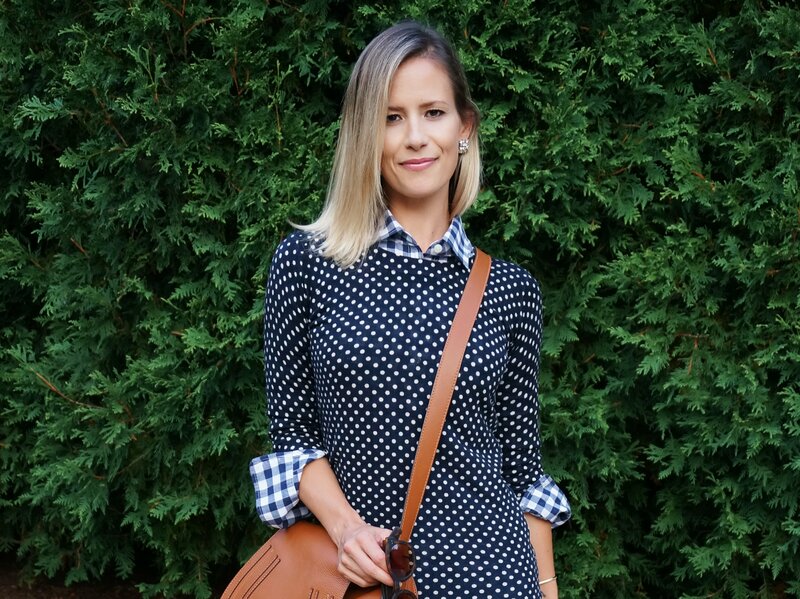 Ok, so I’m on the mixing prints train and I won’t get off. I just love it. It’s easy and a bit unexpected. 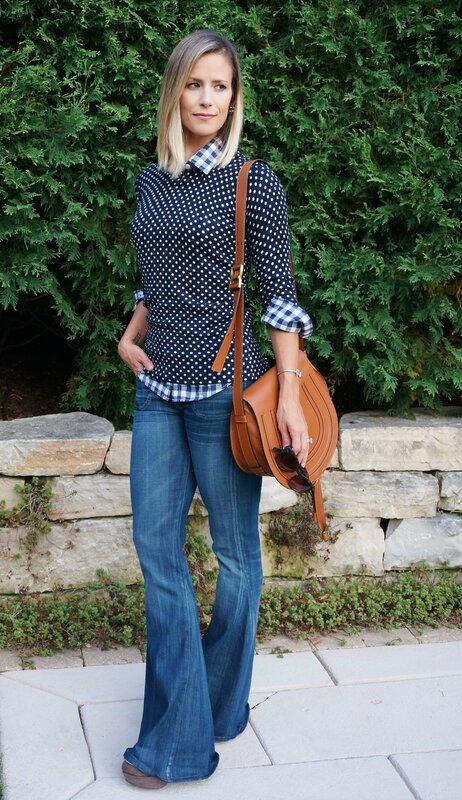 I love mixing polka dots and gingham. Keep it in the same color family, or make sure one print is large and the other print is small. Throw in some mega flares and it’s a win/win. 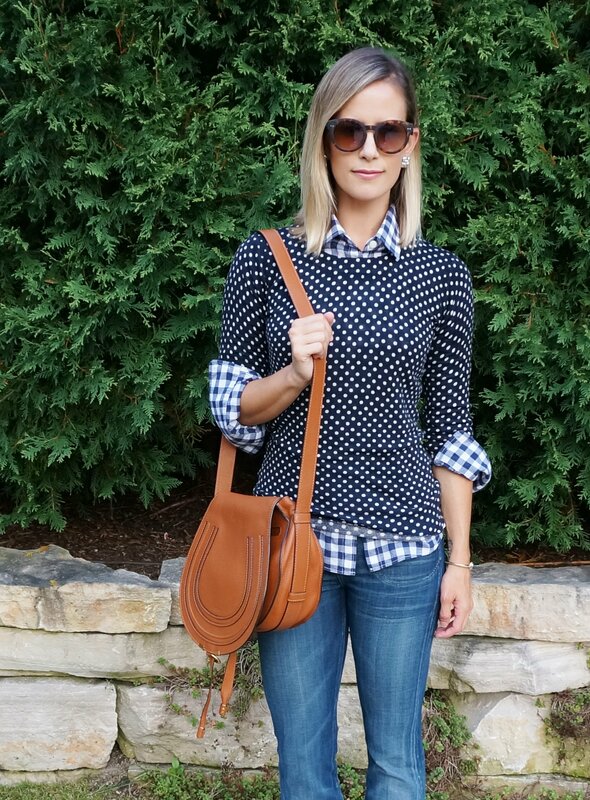 I adore this outfit post. 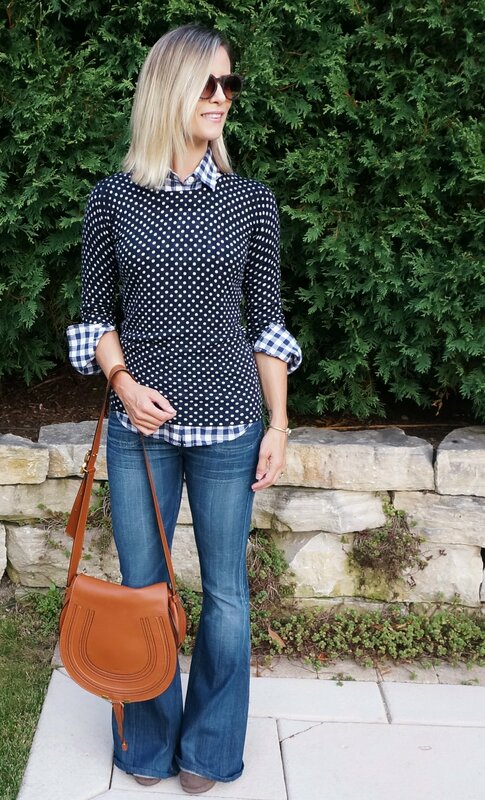 I am loving the contrast between the dots and the checked shirt. Also you are soooo totally working those flares. That looks amazing together! I find it a bit nervewracking to mix, but you really pulled it off! I never wouldve thought to mix and match these but they look fab!!! 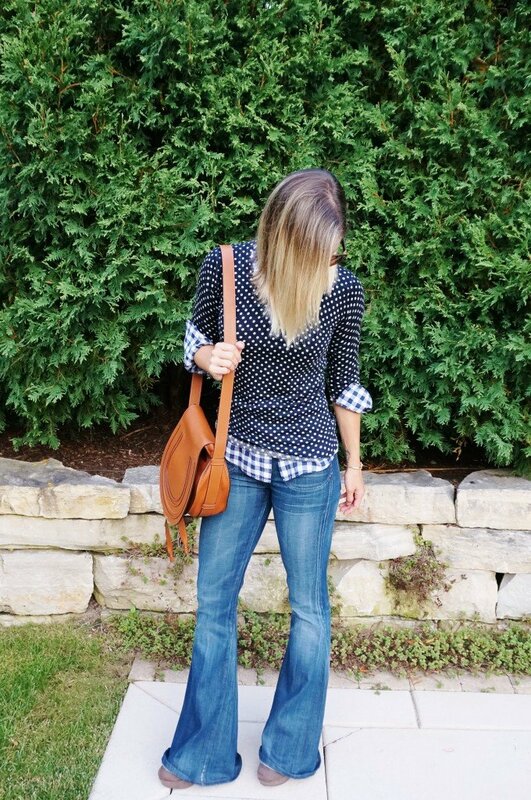 I’m loving the bell bottoms mixed with the checkered and polka dots! Love the outfit! Great post!! 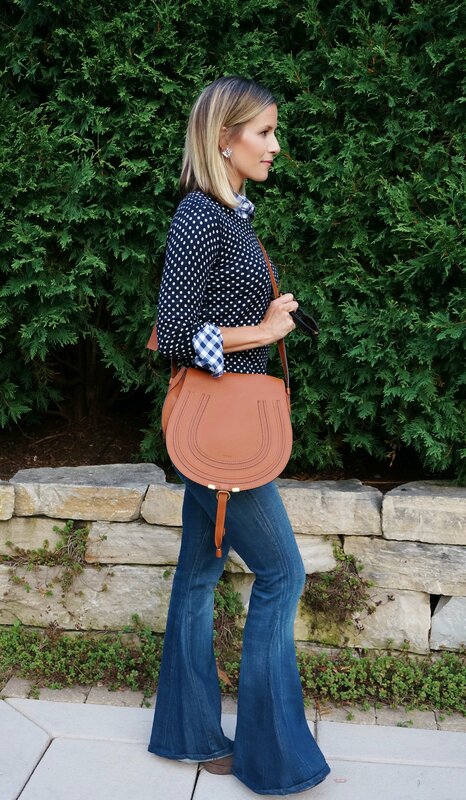 A lot of people are shy to mix patterns & prints & you pull it off so well! Obsessed with that top and I need those jeans!!! 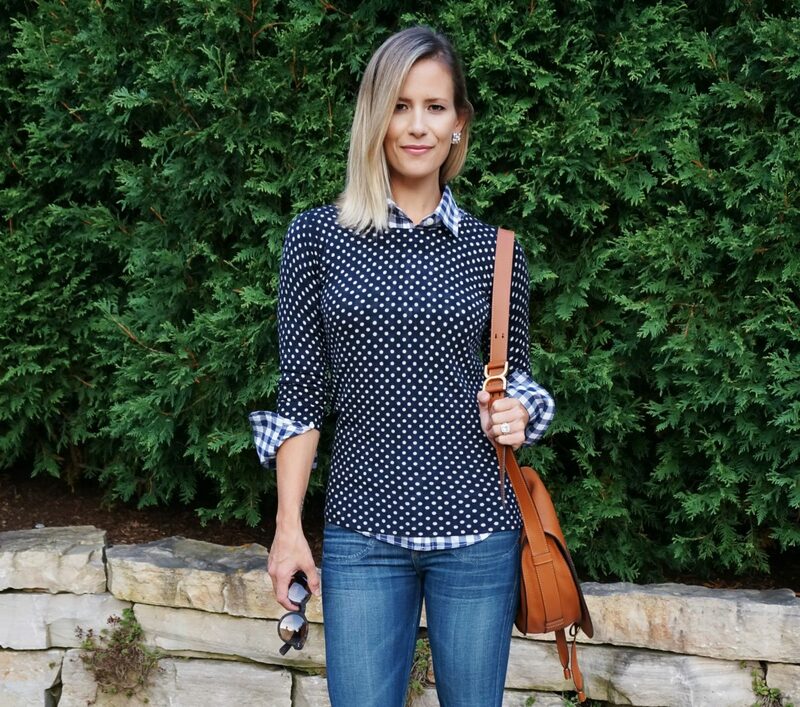 I love mixing patterns! 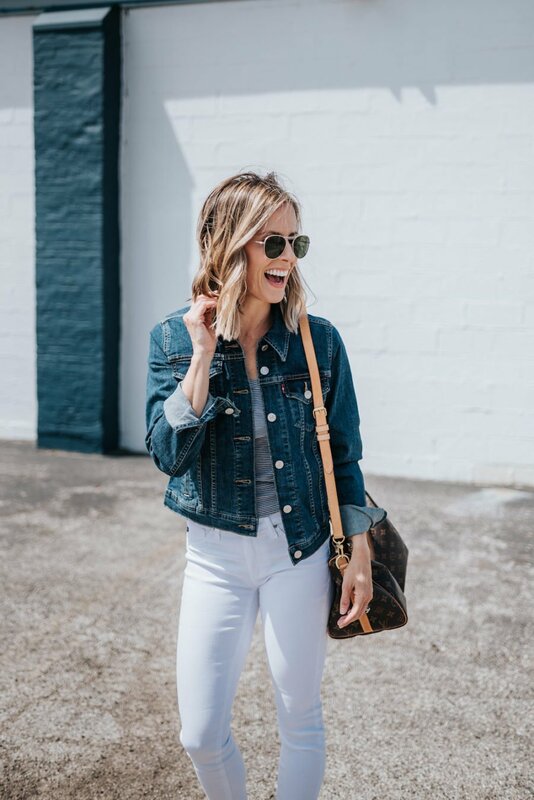 Loving your flare jeans! 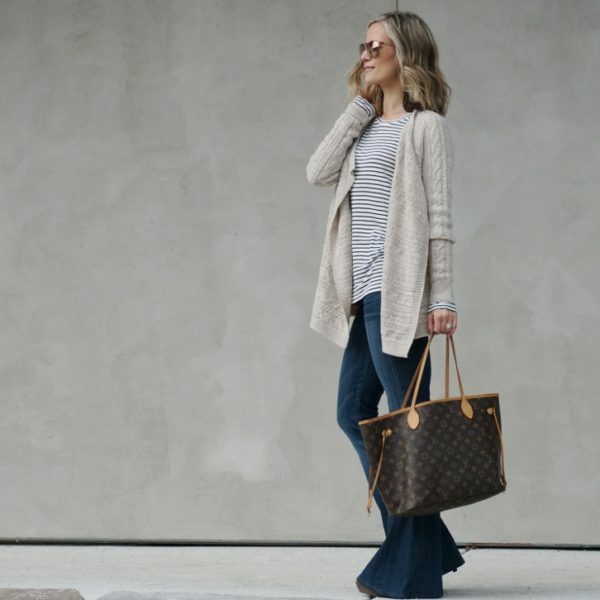 You are rocking those flares! I love your look! Mixing patterns is so fun. 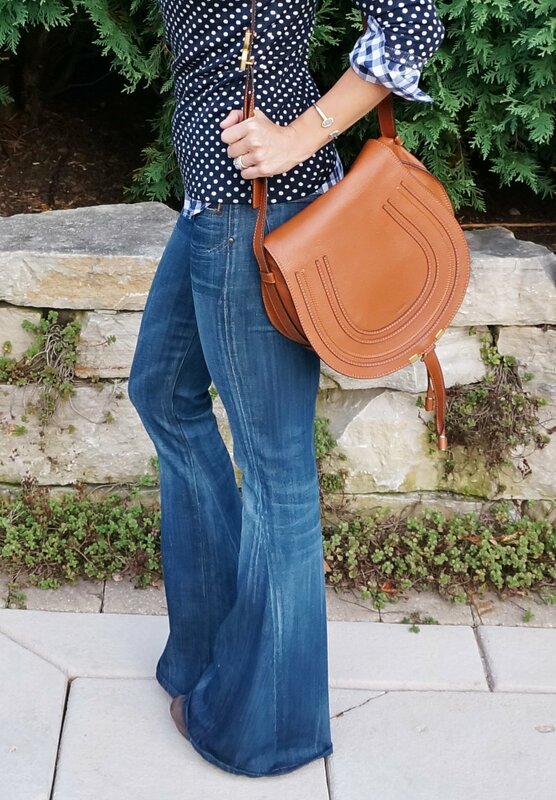 Loving the flared jean mama! And the mixed prints are perfect. So cute! I love these two prints mixed! Also loving those flares. 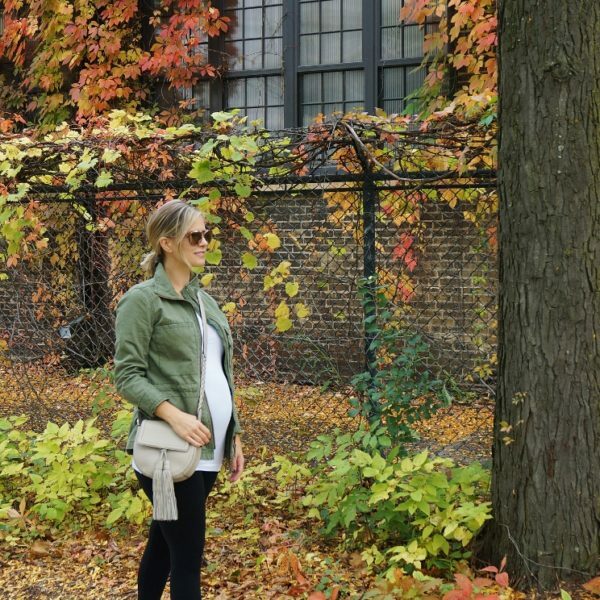 I really need to invest in a pair for fall!